Every nation on earth has its own street food or some version of it. Mexico has Tacos, New York it’s Pretzels and Hot Dogs, the UK Cornish Pasties and Pork Pies. The Middle East has falafel, the Far East has everything from Pho to bbq crickets, while India has samosa and Pav Bhaji. 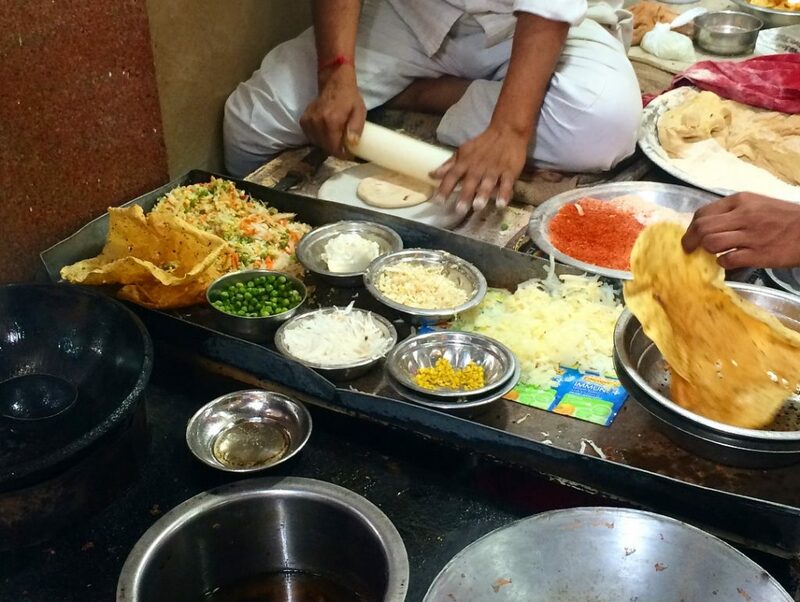 But India also has Paratha and when freshly cooked and eaten on the streets of Delhi it’s easily the King of street food. 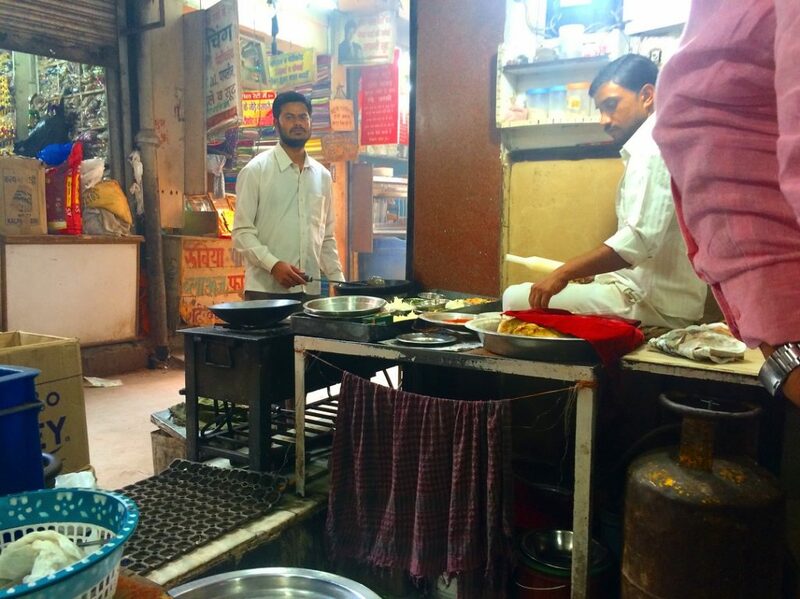 These parathas I lunched on in a dirty, open-fronted shop, down a narrow and crowded side ally in Delhi, were probably the best thing I ate during the month I spent in India a few years back. And at the same time, the cheapest at fifty rupees (about sixty pence). Salty, spicy, and with just the right amount of oiliness. 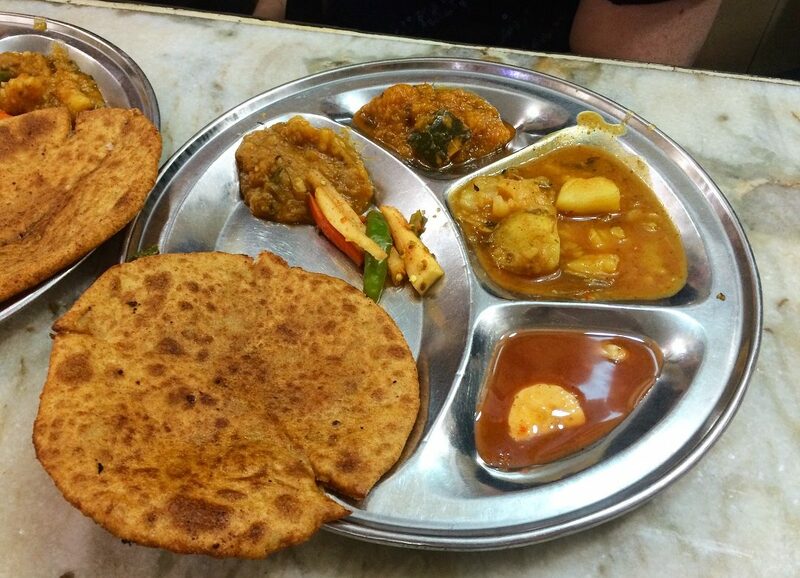 Traditionally triangular and a form of Indian flat bread, Paratha are served either plain or stuffed. They can be stuffed with sugar for breakfast, raw vegetables (though potato should be cooked first) or frankly anything that comes to mind, like as bananas, almonds or paneer. They are then either dry fried or fried in ghee or vegetable oil, and served with a variety of what Indians call chutneys but what we would call small portions of curry and spiced and pickled vegetables. The parathas served by the Delhi stall were round and stuffed with various vegetables. They came with the usual selection of different sauces and chutneys, all of which were so hot they burnt off the roof of your mouth. So I ate just the parathas, and wolfed down six of the things. Some were stuffed with potato, others cauliflower and others a mixture of all the vegetables they offered. Best by far, however, was the one I asked them to make that wasn’t on their menu: a mix of cauliflower and potato. It is hard to describe how good they were, but suffice to say my mouth is watering just thinking about them, with the crisp slightly oily outside and the just cooked vegetables inside, all enhanced to perfection by the chilli powder and salt mixed in. Heaven! This is my recipe. It is not quite the traditional version, but it can easily be made at home with ingredients around the kitchen. After all, not many of us have a tava to cook them on – that’s a heavy, cast iron sloped-sided plate used for parathas and other Indian flat breads. In a bowl mix the grated potato, cauliflower and spices. Next make the dough by combining the flour with a dessertspoon of vegetable oil and water. Combine the ingredients with your hands and knead into a soft dough. If it’s too firm or dry just add more water; if too wet add more flour. Leave to rest for 20 minutes. Break off a piece of the dough and roll it into a ball that fits comfortably in the palm of your hand – about 2 inches wide. Then roll it out into a circle as thin as you dare. Add a teaspoon of vegetable oil and spread it over the rolled out dough with the back of a spoon. Then place a handful of the spiced grated vegetable mixture in the middle and spread it out, leaving a 1cm gap around the edge. Add a sprinkle of sea salt and then fold the dough over in half so that it looks like a Cornish pasty. Roll out the filled dough as flat as you can (do not worry if the filling breaks through). Heat a heavy-based frying pan, cast iron is best, and melt the butter in a saucepan, once melted turn off the heat. When the frying pan is almost smoking add the paratha. Move it about at first to stop it sticking to the pan. When the underside starts to be covered with dark brown spots, turn it over and brush the upward-facing side with butter. Once the underside has started to spot with colour, flip over the paratha to cook the buttered side for a minute more. While this side cooks, brush the upside with butter and then cook it for a minute. While each paratha cooks you will have enough time to prepare the next one for cooking. Serve as is or with a selection of spicy Indian chutneys and pickles.